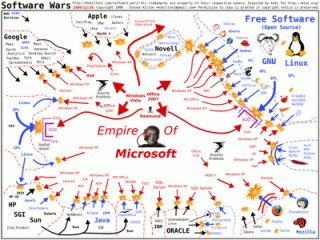 This graphic is an interesting take on the current IT landscape. The explosions and dotted lines express the barriers to entry and the specific conflict points relevant to their market segment. Created by Steven Hilton, website.